CashBox (Woodlands Transport’s subsidiary) is a one-stop solution provider which provides short term loans to individuals. With conveniently-located stores islandwide, our professionally customer service officers and valuers are able to appraise valuable items accurately and instantly to offer good value cash flow flexibility to our clients. 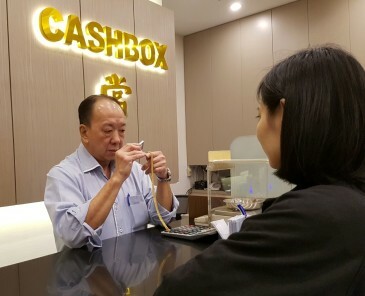 In 2008, Cash Box Pawnshop was established as a licensed pawnbroker and opened its first outlet in Jurong Point Shopping Centre. We revolutionised the traditional perception of a pawnshop, doing away with the stainless steel grill and high counters which are usually found in neighbourhood pawnshops. Today, we have several outlets bearing other names which was carry down for nostalgic reasons such as Thye Eik Pawnshop, Thye Joo Pawnshop and Marsiling Pawnshop catering to the needs of the heartlanders.